Rue The Day!This Dog Has An Important Job At The Airport - Rue The Day! 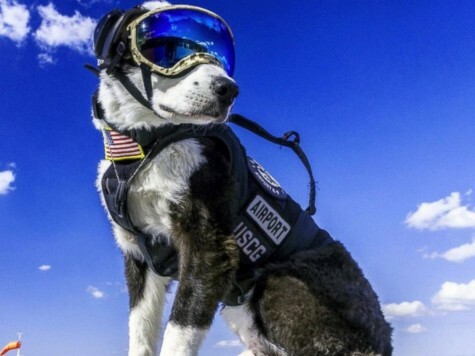 Every day, Piper gets a ride to work, where she helps keep people safe at the airport. She’s not a bomb or drug sniffing dog though. Instead, Piper works on the airport helping to prevent something that endangers far more passengers -birds being hit by plane engines. 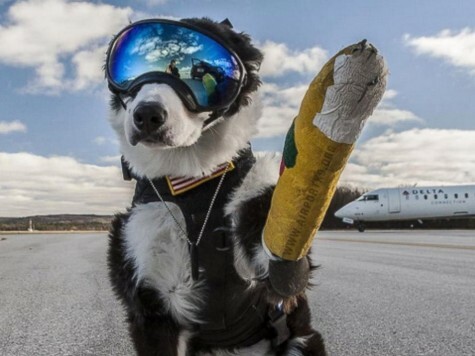 The 8 year-old border collie simply does what comes natural to her -chasing ducks, geese, owls and more away from the runways. Of course, there was some training involved in getting the pooch to get used to the planes as that’s not something dogs normally feel comfortable around. Even when poor Piper injured her arm she continued to happily do her duty, running along with an adorable yellow cast. That’s not to say she is in danger at work though. Her handlers make sure to equip her with protective earwear and goggles. Why Do Old Ladies Dye Their Hair Blue?